Congratulations to the film festival organizers and programmers who were selected for the FFA/SIO Diversity Pass Program, an initiative between the two organizations to encourage and cultivate diversity within the film festival industry. 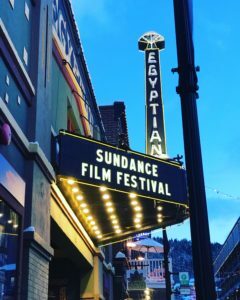 Out of 10 passes that will be comped or discounted, attendees represent 9 states and Canada, 9 are first-time Sundance Film Festival attendees, 8 are women, 6 are people of color, and 3 represent the LGBTQ community. We looking forward to seeing everyone in Park City in January! Regional Roundtable: Cucalorus Schedule is Live! Open to all festival professionals, this 3-day workshop/festival experience will focus on the Human Capital it takes to run a film festival, with discussion topics including HR, seasonal staff, volunteer management and board partnerships, as well as specific sessions on data management, print traffic & DCP logistics. Additionally, the gathering will include networking events, group activities, FFA’s signature Meet the Festivals session, and a host of unexpected artistic collisions as we dive deep into the 24th annual Cucalorus Festival. Click here to see the session lineup and here to register now. A number of complimentary Cucalorus Festival industry passes will be available by lottery for FFA members who register by October 21. Additional, deeply discounted passes will be available for members as well. (Industry passes allow full access to everything Cucalorus. To see a full list of Cucalorus films, stage, music and off-screen events, click here. Thank you to our sponsors, Eventive and Film Freeway. FFA has announced a new partnership with the Kansas Creative Arts Industries Commission, the official arts and film agency for the state of Kansas, which is dedicated to supporting the role the arts play in economic and community development. Together, the two organizations will present workshop, Developing A Flourishing Film Festival, on October 18th at Harvester Arts (215 N. Washington) in Wichita. Film organizations, festivals and potential festivals from across the state, will gather for conversation centered around mission and organizational structure, developing audiences and indie cinema culture amongst new generations and regional communities, and the benefits and drawbacks, of curating and presenting independent cinema in the heartland region. The discussion will be led by FFA Board Member & Festival Consultant Jon Gann, and Lela Meadow-Conner, FFA’s Executive Director, both of whom were intimately involved in founding festivals. Presented as the first annual conference, attendees will also provide feedback as to how to grow connections and collaborations between Kansas-area festivals. Festival organizers will then participate in FFA’s signature Meet the Festivals panel, at the 16th annual Tallgrass Film Festival, which is designed to create an open dialogue to increase transparency between film festival professionals and filmmakers.